On April 26th I was invited to attend the opening of the Expo 2015 with main centre Milano but with various Italian cities taking part in it. 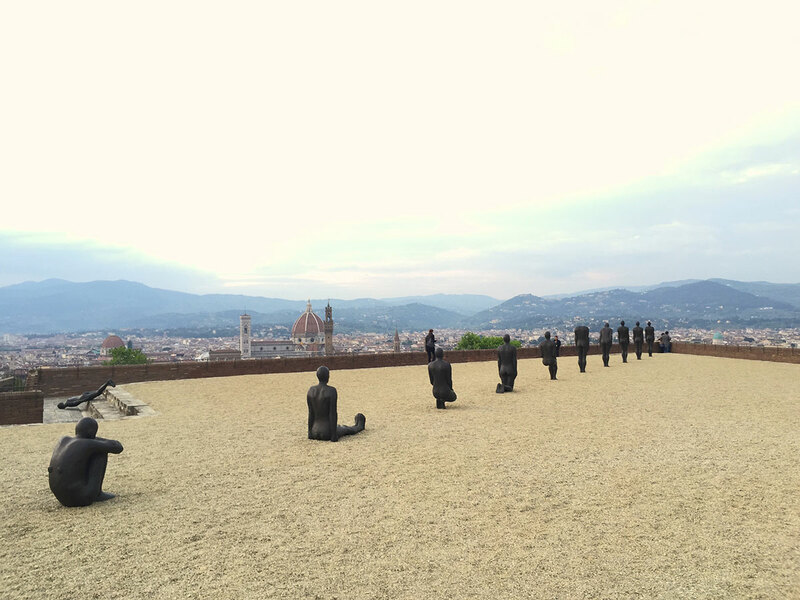 The beautiful Forte Belvedere in Firenze ( Florence ) is the host of the Human exhibition by Antony Gormley, one of the most acclaimed sculptors working today. The exhibition brings more than 100 works to every part – the inner rooms of the villa, the bastions, the staircases and the terraces of the 16th century fortress, well known with its extraordinary views over the city and the surrounding hills. At the core of the exhibition there are two arrangements of the work CRITICAL MASS II (1995). This work comprises twelve body forms, each cast five times to produce a total number of sixty works that can exist in any orientation. CRITICAL MASS II identifies a number of basic body postures from the contemplative to the supplicant, from the mourning to the deferential, from the position of a man who awaits an order to the dreamer. 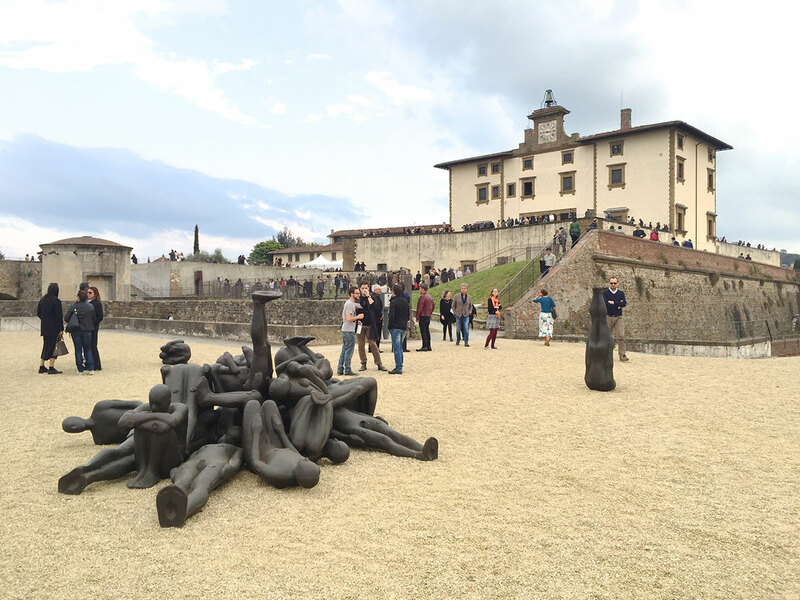 On the east side of lower terrace of the Forte the twelve body forms of CRITICAL MASS II are installed in a linear progression, from foetal to stargazing, recalling the ‘ascent of man’. On the opposite side is a jumbled pile of the same bodies. Here, as abandoned manufactured iron objects, each ten times the specific gravity of a living human body, they reflect the shadow side of any idea of human progress, confronting the viewer with an image redolent of the conflict of the past century. It’s truly magnificent exhibition and you must see it if you happen to be in Florence between the 26th of April to the 27th of September. Wow, it looks very intersting! Would love to visit! Katia, you look absolutely stunning! Amazing shoes and bag!